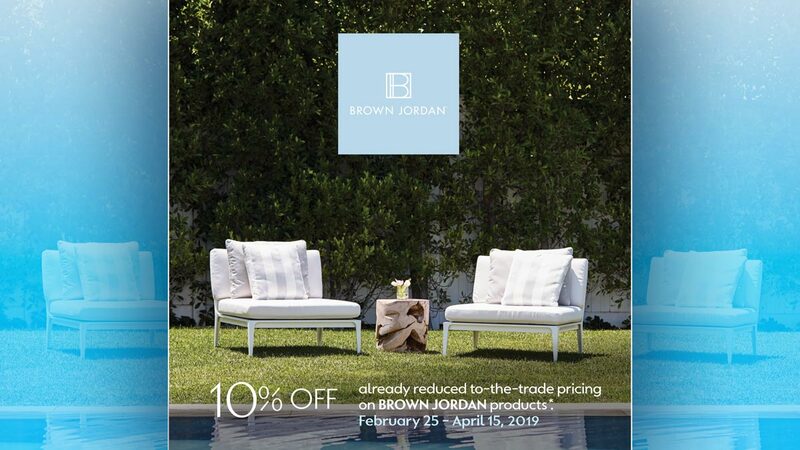 Enjoy an extra 10% off* already discounted trade pricing on Brown Jordan products. * On Brown Jordan orders placed February 25 - April 15, 2019. Excludes licensed products, “fires”, kitchens, and planters. Not applicable with any sales items, pre-existing orders, or other promotions. Does not apply to shipping or handling. Must request discount at time of order. 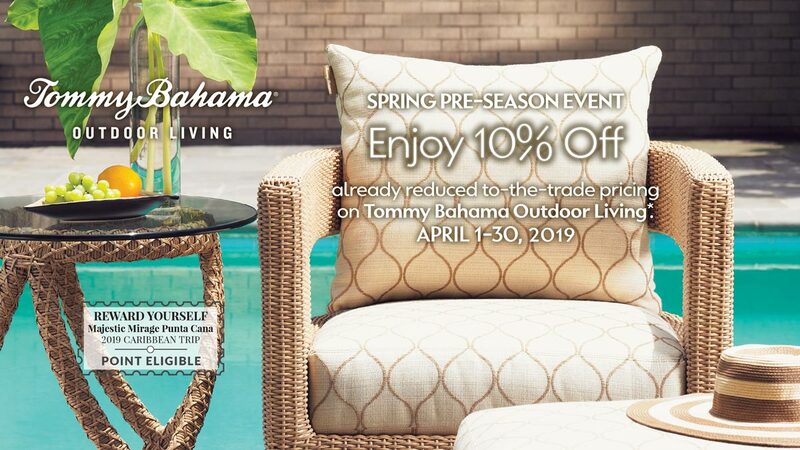 Enjoy 10% off already reduced to-the-trade pricing on Tommy Bahama Outdoor Living during the Spring Pre-Season Event. 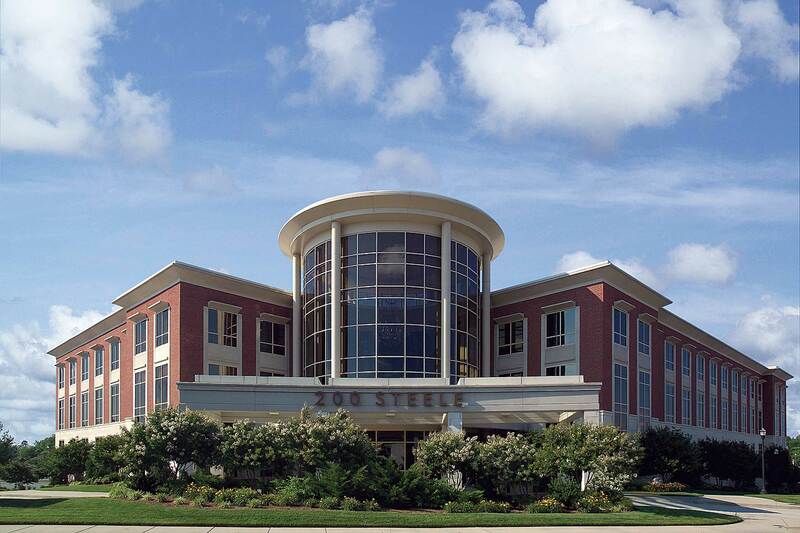 * On all Tommy Bahama Outdoor Living orders placed April 1-30, 2019. Not applicable with any sales items, pre-existing orders, or other promotions. Does not apply to shipping or handling. Must request discount at time of order. 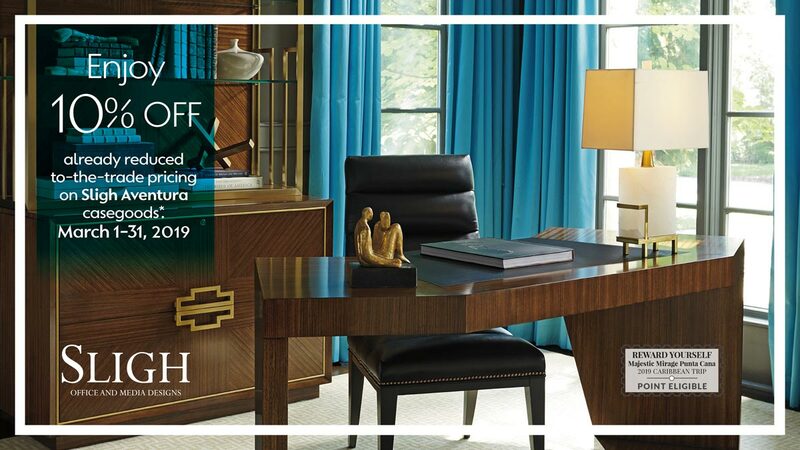 Save 10% on already reduced trade pricing on all Bassett's HGTV HOME™ Custom Furniture. 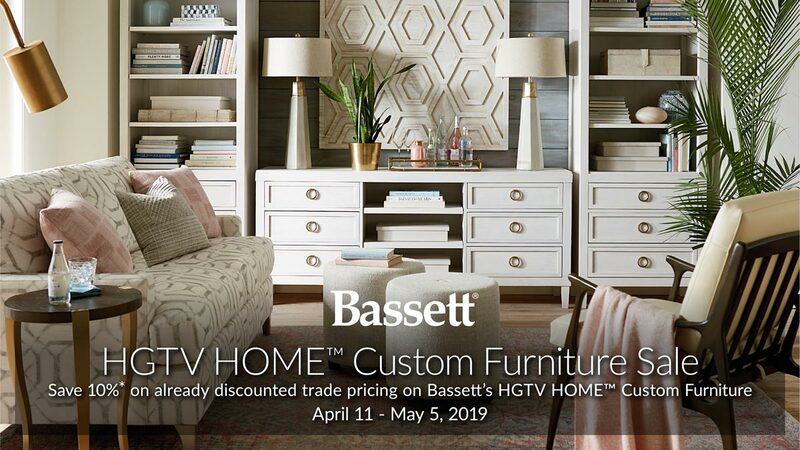 * HGTV HOME™ Custom Furniture includes Premier Custom Upholstery, CU2, HGTV Custom Beds (excludes Sausalito), HGTV Classics, Custom Dining and Upholstered Dining Chairs, HGTV Custom Ottomans (includes Alexandria, Medina, Kara and Lori), Custom Benches, Custom Chaises, Custom Pillows ordered between April 11 and May 5, 2019. Not applicable with discountinued specials, any pre-existing orders or other promotions. Does not apply to shipping or handling. Must request discount at time of order.